Here's a hot hatch Ford and Volkswagen may want to worry about. Any fan of the movie The Italian Job knows that, as dinky as they look, Minis can be serious cars for serious enthusiasts. They just have to be heavily modified beforehand to fully take advantage of their small dimensions and low weight. Some prime examples of this are that can pack a serious punch to Focus RS and Subaru STI competitors. And then there’s the JCW GP, a race-ready Mini straight from the factory, which, as confirms, is something to be excited about again. Ever since BMW bought Mini, reinventing the design for the new millennium in 2001, the line has grown from there. To celebrate its popularity, Mini has given a nod to enthusiasts by creating the John Cooper Works GP, that, in its previous rendition, was able to lap the Nurburgring in an astonishing 8:23. 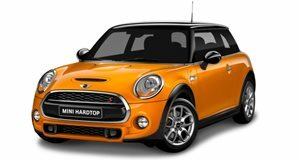 Mini tends to release these on the final year that a certain generation is available, with the previous highly limited edition models seeing the light of day in 2006 and 2013 when the first and second generation of Mini was going out of production. Now that the third generation of Mini is out, there is one question that remains: will Mini remake the JCW GP? According to what Mini boss Peter Schwarzenbauer told , the answer is yes. "It's an important part of the Mini brand. It has worked well for us in the past and I don't see why not in the future," said Schwarzenbauer. While the JCW badge already designates the fastest Minis available from the factory, the last generation of GP improved on it by adding a track-tuned suspension, a reinforced chassis, upgraded brakes, a stripped out interior, and a strut brace that replaced the rear seats. Power was only up by 3 horsepower over the JCW’s 208 ponies, but it fit well with the rest of the hardware. Unfortunately, the production run will likely be low (500 JCW GPs came to the US in the last generation) and we’ll have to wait until around 2020 to see it.